Converts English into Aurebesh from the Star Wars universe. All thanks goes to David Occhino for making this font - I just put it into a translator so people can easily convert English to Aurebesh online without having to download it. 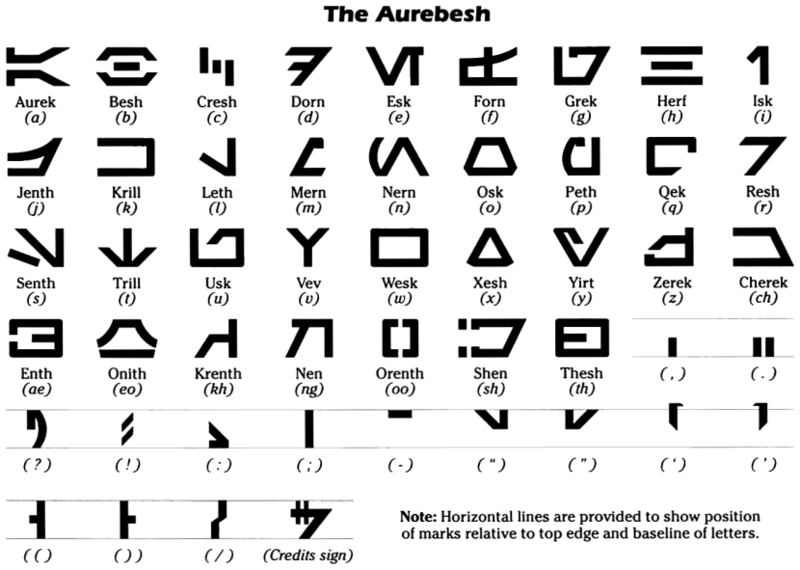 The Aurebesh alphabet is the written form of the Star Wars language, "Galactic Basic". If you want to learn to read Aurebesh, check out this Aurebesh trainer (mirror) that someone made. This is the second Star Wars translator that I've made (the first was a Jar Jar/Gungan translator). If you'd like me to make any other translators for Star Wars languages, then please let me know in the comments!